e are a non-profit corporation, not affiliated with any church, civic, or social organization. Christmas Storybook Land is governed by a group of elected Board Members and a four-member Executive Board who meet the first Tuesday of each month in Albany at 7 pm. We have a very dynamic and hardworking group of Board Members and are always looking for new members to carry on this unique Albany tradition. Applications for New CSBL Board Members are accepted year-round, but the deadline is February 1 to be considered for the current year. New board members serve for one year beginning on April 1. We also have a Volunteer Information Open House in late October where everyone is invited to learn more about our organization, and sign up to help with the current year’s presentation. Contact Us for more information! 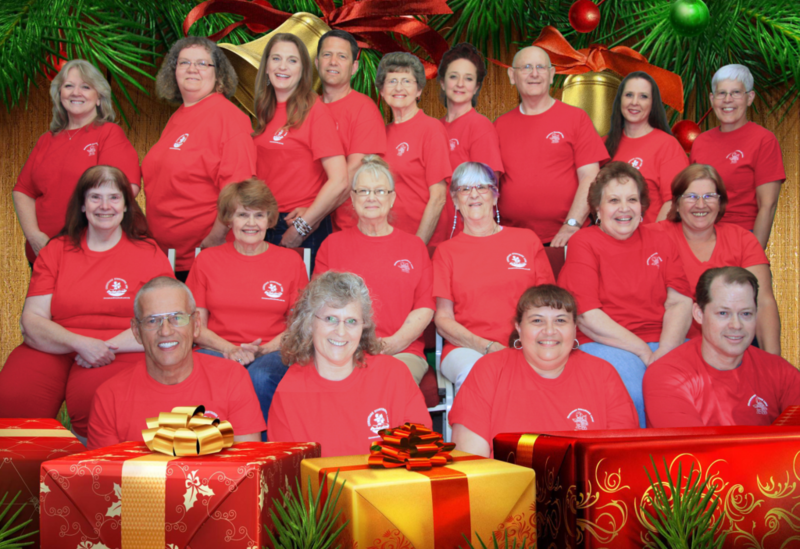 The 2018 Christmas Storybook Land volunteer Board of Directors would like to welcome all volunteers to assist with the 2018 indoor Christmas forest wonderland presentation FREE to the community November 30 to December 14th, 2018 at the Linn County Fairgrounds, Cascade Pavilion. Front row from left: Derral Hunt, Kimberly Samard, Tami Chaput, Brad Hamlin. Row 2 from left: Sara Frazar, Linda Morris, Faye Creecy, Marcie Barksdale, Karen Dahlinger, Bonnie Brown-Vice President. Row 3 from left: Teresa Stout-Treasurer, Patty Skinner, Lisa Muller, Richard Muller, Joyce Moreira-Secretary, Kymberly McPhie, Paul Schmierer, Tia Gilbert, Carol Wood-President. Board Members not pictured are: Terry Burke, Brian Baker.